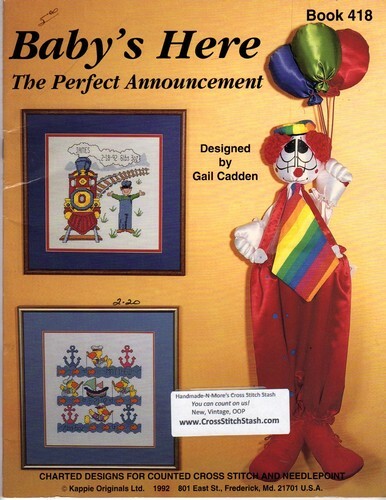 Kount on Kappie Baby's Here The Perfect Announcement counted Cross Stitch and needlepoint Pattern booklet. Gail Cadden. Heavenly Child, Sent from Heaven, Country Birth Sampler, Carousel, All God's Children, Water Baby, Baby's Coming, Personalization charts. Appears new. Store sticker on cover.